Early education is as important as the home environment, therefore the right choice of school is critical. According to people like Rudolph Steiner, an Austrian author, philosopher, and educator, in the late 19th century, the first seven years of a child’s life are critical to learning. The formative years will shape the person, and with the right emphasis, the learner will go on to fulfill their potential, and become successful in their chosen field. State run schools will provide a decent academic education for any child, yet they tend to be rigid in their application of new ideas. Private primary schools, on the other hand, do not rely on state funding, and have the freedom to decide exactly how the curriculum will be delivered. 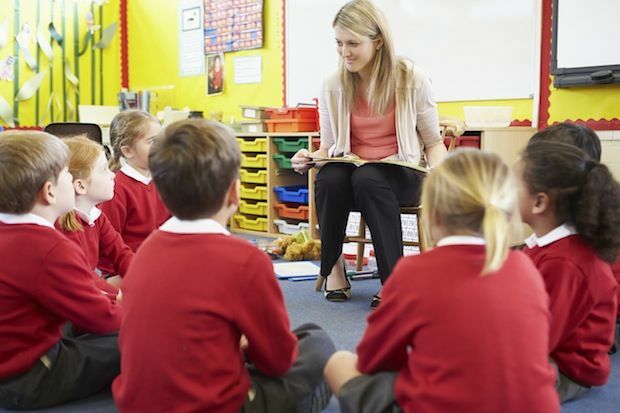 Private school curriculums tend to view the child as a whole person, and therefore moral and social issues are emphasised, essential in this modern world. This is the core level of academic training for a student. The kindergarten years have prepared them by teaching social and moral values, as well as an introduction to the essential reading and writing skills that will eventually take them to university. The six years of primary study involve an in-depth look at each core subject, and with a growing and enquiring mind, this process needs to be active. It is during the last part of primary schooling that the child’s talent will begin to emerge, and the path a student takes in higher education will be determined by the primary years. A balanced education is more than just the core subjects, with morality and ethics playing a large part in a person’s education. Traditionally, schools with religious backgrounds offer a sound moral education, with the emphasis on honesty, kindness, and compassion. These traits are an essential part of a good citizen’s makeup, therefore one should look for a school that has solid moral principles. Most private primary schools in Western Australia are Anglican establishments that have excellent academic standards, and will prepare a child to be a positive member of the global society. Today’s primary students are the leaders of the future generation, so it is essential to provide the best education. For several decades now, education has been moving away from the traditional desk and whiteboard environment, to a more open, child-centred approach. A good primary school will emphasise an active learning strategy, which has been proven to be the most effective method of learning. This experiential approach, which comes in the form of project-based learning, enables the learner to explore and learn from mistakes. It is an effective way to test out the academic theories in a real life environment. The right choice of schools throughout a child’s educational years will go a long way to ensuring a successful career, and with so many schools offering top quality education, finding the right one can be a bit of a challenge. Private education has long been regarded as the best available, and with a little research, one can find the perfect learning environment to ensure the child receives a balanced education.